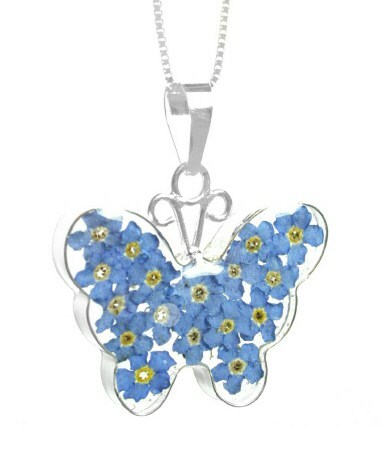 Beautiful butterfly pendants made with real forget me not flowers. Forget me not butterfly pendants. Choose small, medium or large from drop down list below. 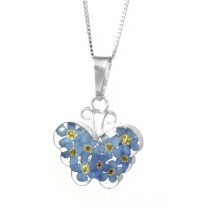 Sterling silver pendant, set with real flowers encased in resin. 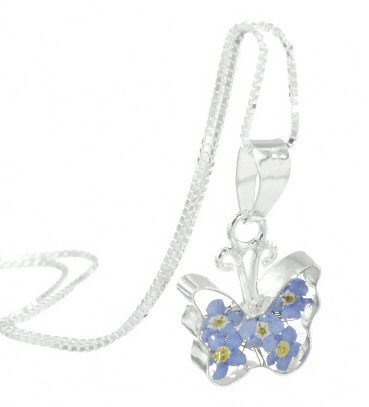 Supplied on an 18" Sterling silver chain.